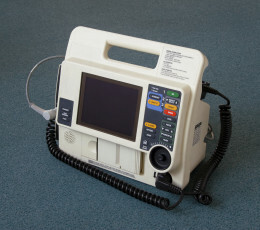 Defibrillator/AED Testing and Repair. Inspections. checklists. Be Sure your device is Patient Ready. CalMed has been providing low cost repairs for over 30 years. We repair equipment for physician offices, veterinarian clinics, nursing homes, physical therapy offices and many more medical providers.